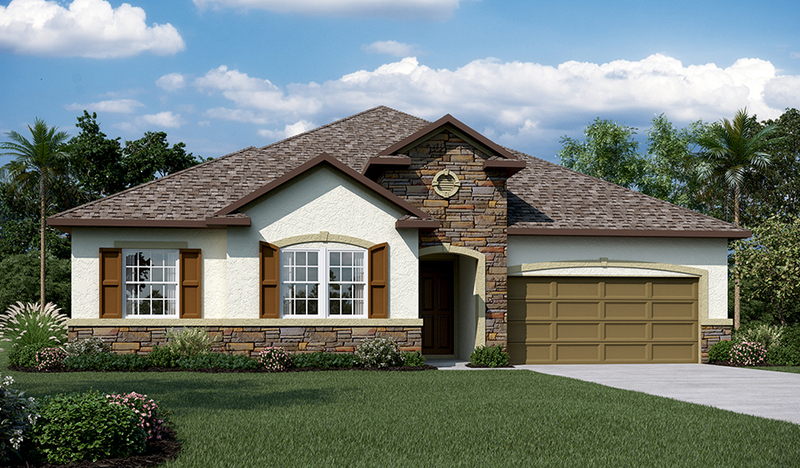 Off the entry of this new model home are two welcoming bedrooms, a full bath and a laundry room. Toward the back, you'll find an open great room, a formal dining room and a gourmet kitchen with a walk-in pantry, center island, quartz countertops, 42" maple cabinets, stainless-steel appliances, a double oven and a nook. You'll also appreciate the relaxing covered patio. The master suite is separated from the other bedrooms for privacy and includes a walk-in closet and a private bath. Upstairs, enjoy a versatile bonus room with a walk-in closet and full bath. Ceramic tile flooring in the entry, kitchen, baths and laundry completes this home.